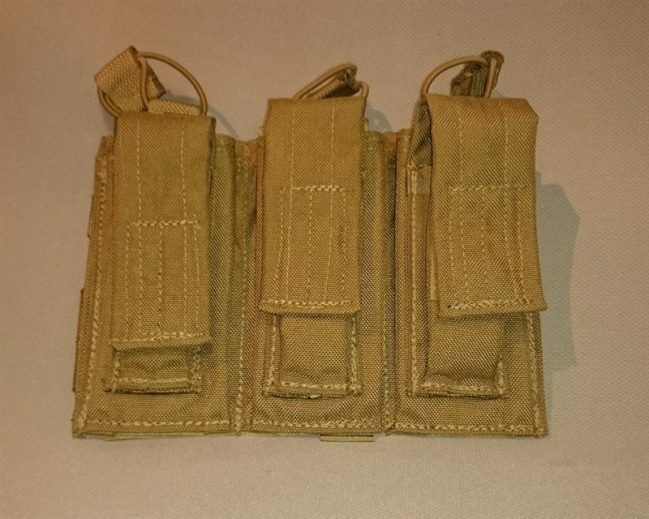 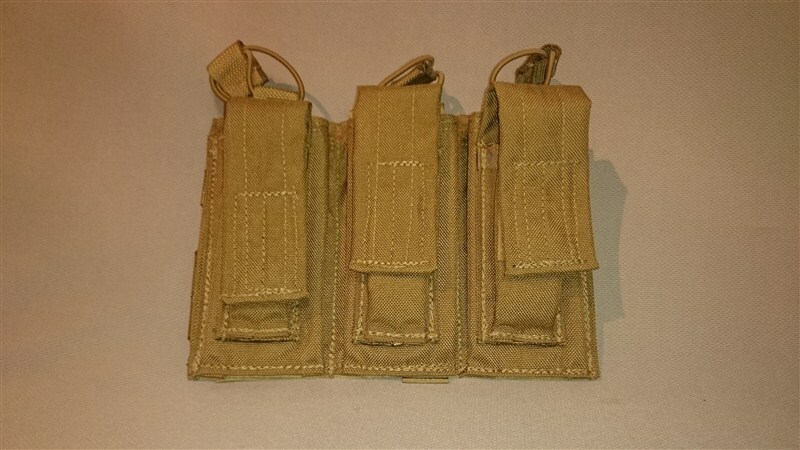 Our Triple Triple Mag Pouch allows you to hold three rifle and three pistol mags in a compact package. 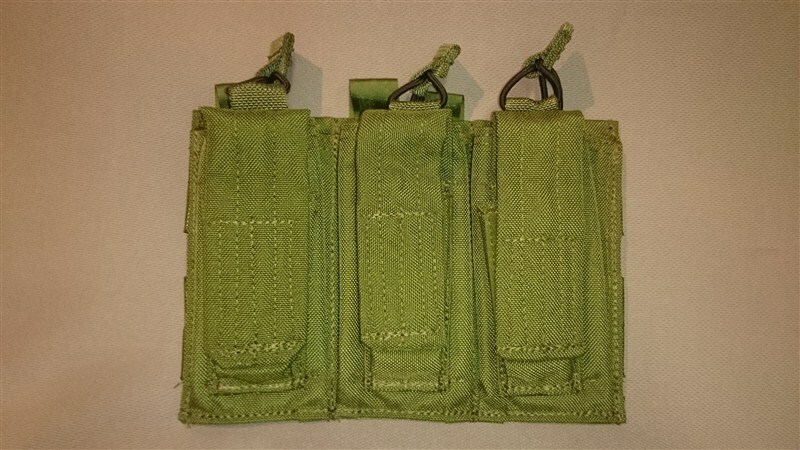 This mag pouch is built with two layers of 1000 Denier nylon to allow extreme wear without failure. 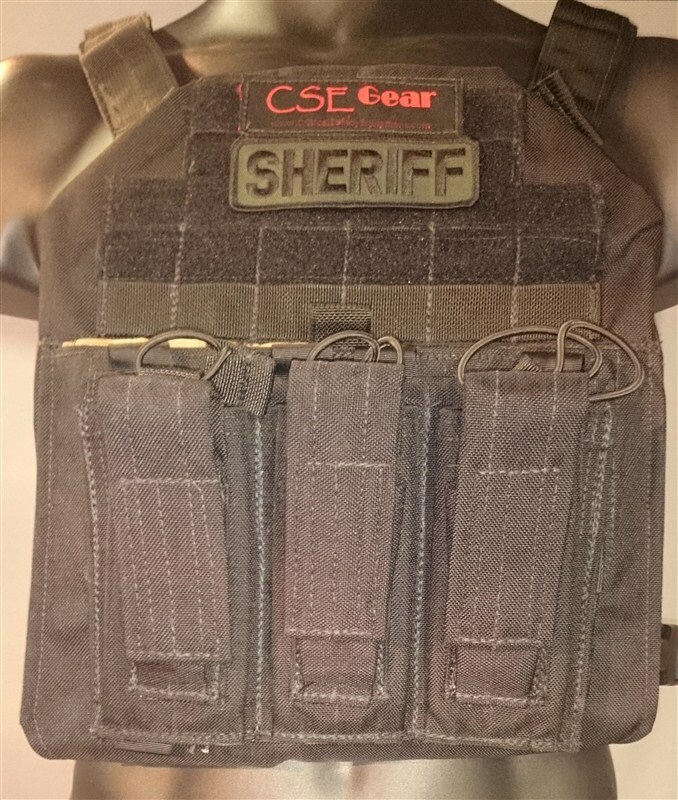 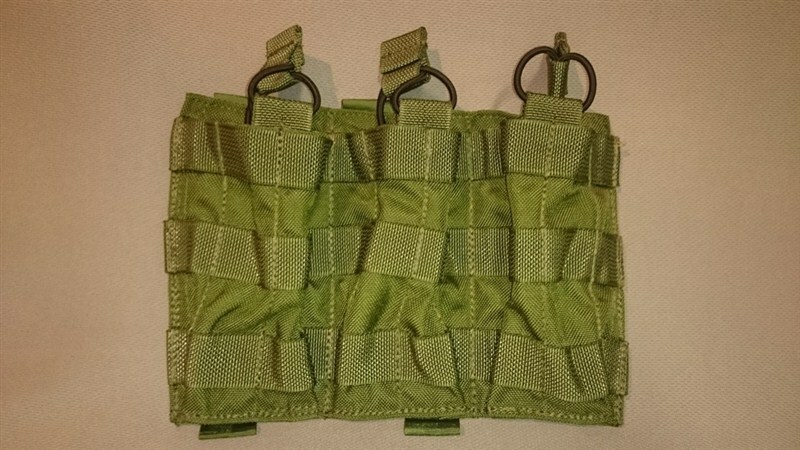 The back of the carrier has attached molle mounts to allow you to mount to any molle. 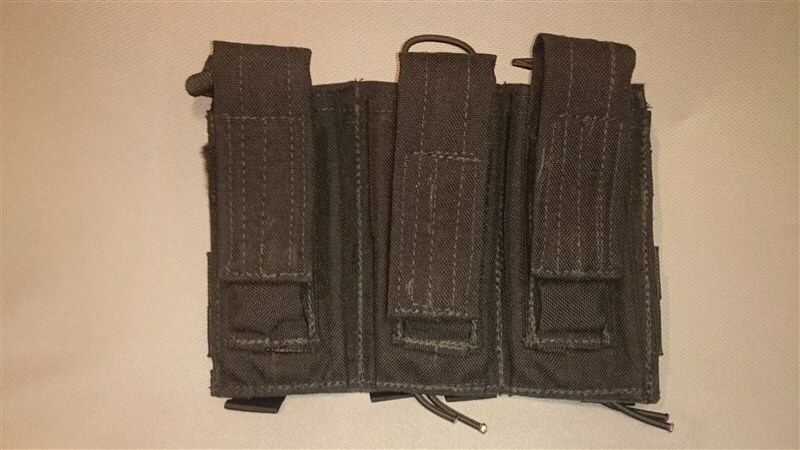 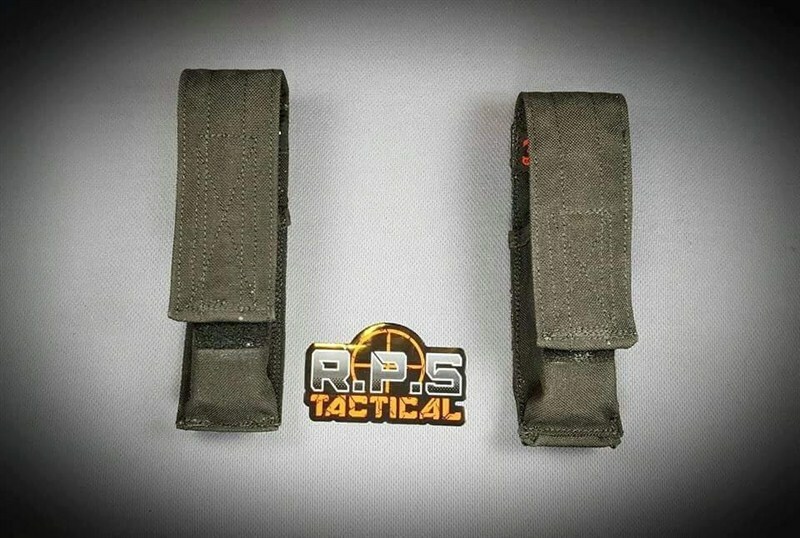 The pistol mag pouches on the front come with a Velcro over hood while the rifle mags are held securely in place by shock cord that is adjustable.